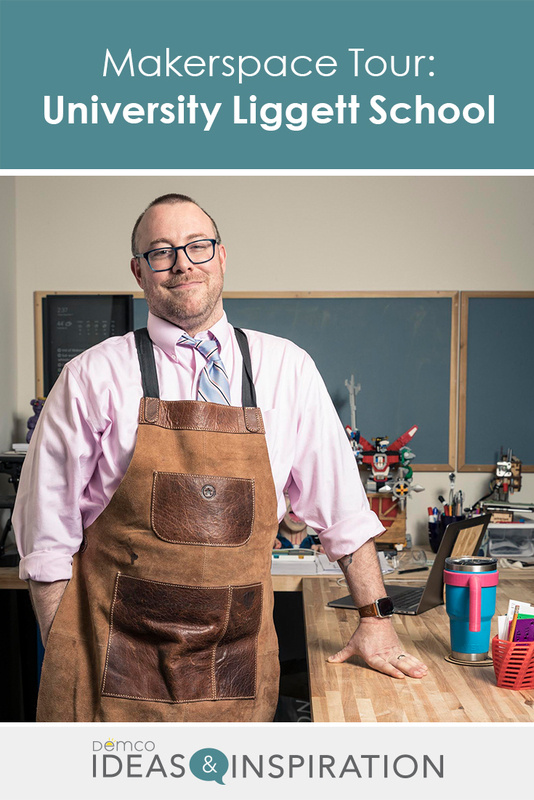 Creating a makerspace is no easy task. It is important to come up with a plan and to identify a project team to help make the vision of the space come to life. 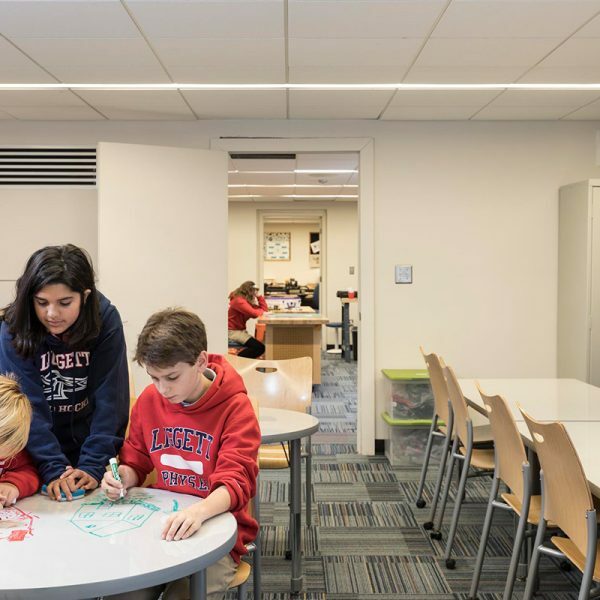 I am very lucky to have been supported by the staff at University Liggett School to construct a space that is more than just a house for fancy equipment. 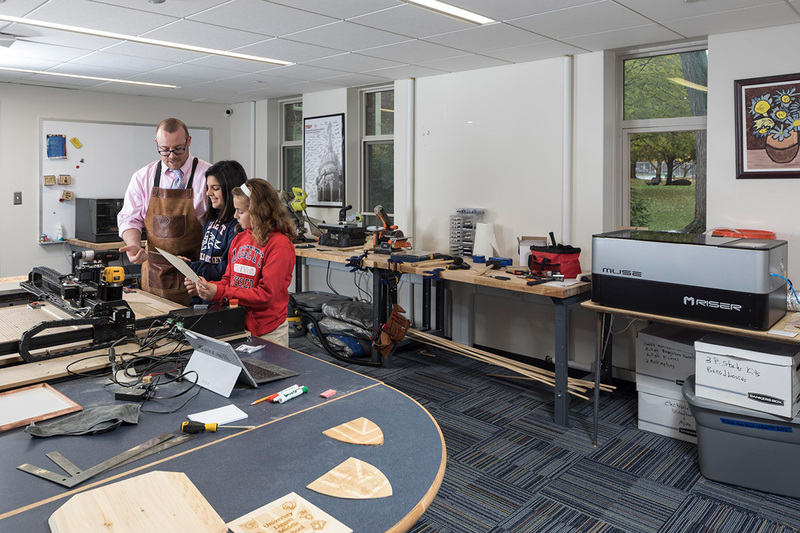 Our Knights Forge Innovation Lab has become a physical representation of the design process we want students and teachers to explore when faced with problems. 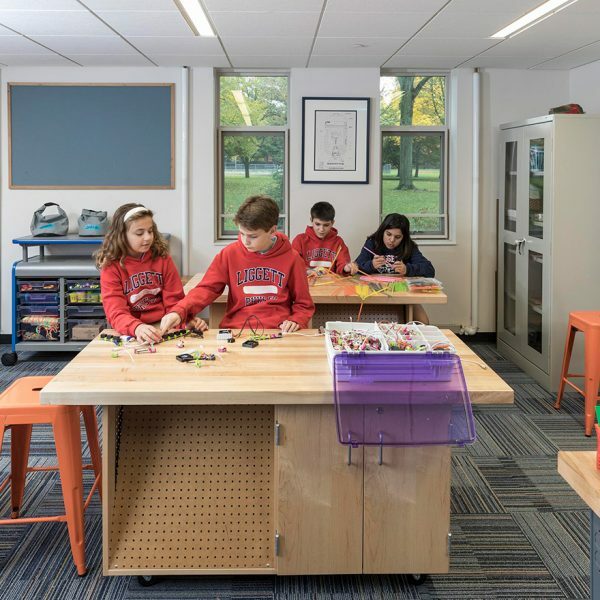 When planning the space, I knew I wanted students and teachers to see the importance of problem-solving in the design process. I also wanted students to have an opportunity to prototype their ideas and fabricate the parts they needed. This led me to the idea to create three distinct rooms for making. After talking with students and staff, I really wanted to give them a maker room where they could just get the ideas out of their heads, whether as a group or alone. I had dry-erase tables in my classroom as an English teacher, and I knew how great they could be for brainstorming and collaborating. The Demco team helped me choose dry-erase tables to go around the room, and we already had dry-erase boards on the front wall, so we now have ideation areas throughout the entire Design Room. I filled the new steel storage cabinet in the back with design books and project ideas to help those who were looking for a little inspiration. There is a Smartboard at the front and to the side of the room and a monitor that can be accessed wirelessly using Airtame. I also store the middle school iPads and the virtual reality headsets in this storage cabinet so students can create digitally as needed and even create and explore in virtual reality. To keep all our devices charged, the Bretford Juice floor charging solution runs throughout the room. 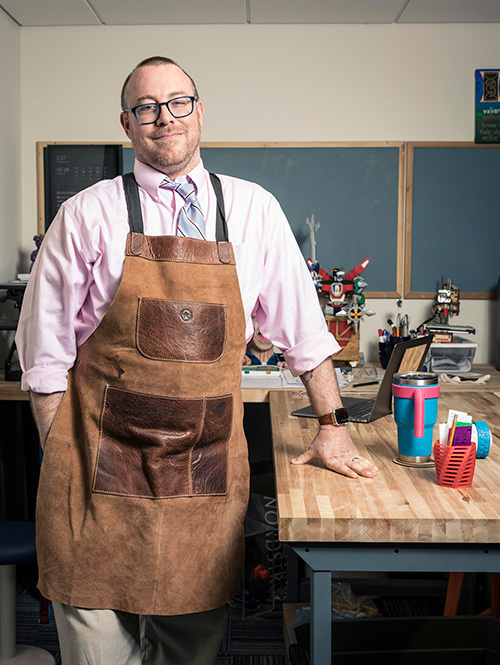 The goal is to have students use the design space to get their first draft of an idea out of their heads and ready to prototype in the next maker room. The second stage of the design process that I want students and staff to explore is prototyping. Too often, people assume that their first idea is good enough and get ready to submit it as a finished product. Prototyping needs to take place to see if everything actually works as planned, and we now have a maker room outfitted to do just that. Demco helped me institute the furnishings and equipment my students would need to start iterating their ideas. I have butcher block work tables around the room that I placed the 3D printers on and mobile workbenches that store tools. These make great work surfaces to break out the hot glue, soldering iron, sewing machine, and whatever we might need to create a quick prototype. The Dremel 3D45 printers have also been invaluable tools this year for students. They are in constant use by students who create images in the design room next door and come to the prototyping space to upload their print. The Prototyping Room is also filled with all the craft materials and building bricks a student could need. Students also build a lot of their prototypes in this room using cardboard and Makedo™. It is a great way to test designs without the expense of tape and wood. We have lots of cardboard in our school, and the reusable Makedo screws make creating more functional prototypes fast and simple. All of these tools are available to the students free of cost. This levels the playing field for all our students because you can’t put a price on creativity or imagination. Our new stools and wobbly chairs are the perfect seating solution to the maker room because they are easy to move around the room as needed. The Prototyping Room has become the most active of the three rooms because kids are ready to build their designs and share them with the world. Need Help Designing a Creation Space? 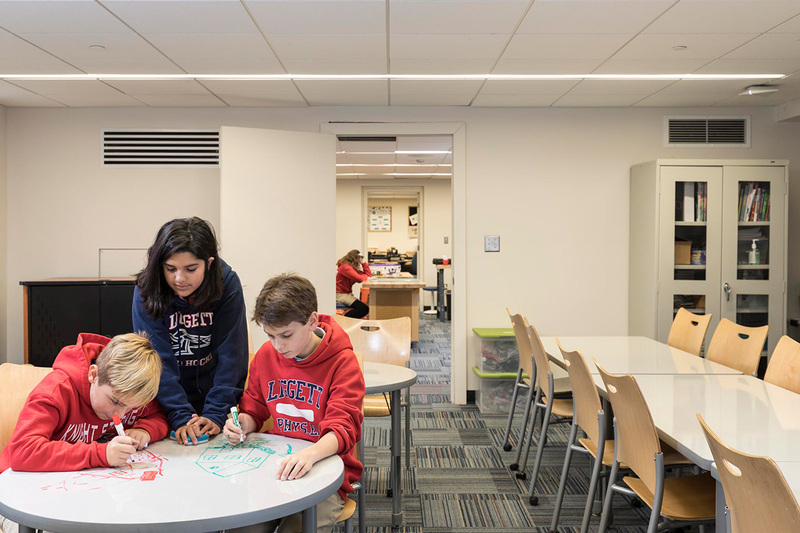 Revamping your learning space can feel overwhelming, but it doesn’t have to be. 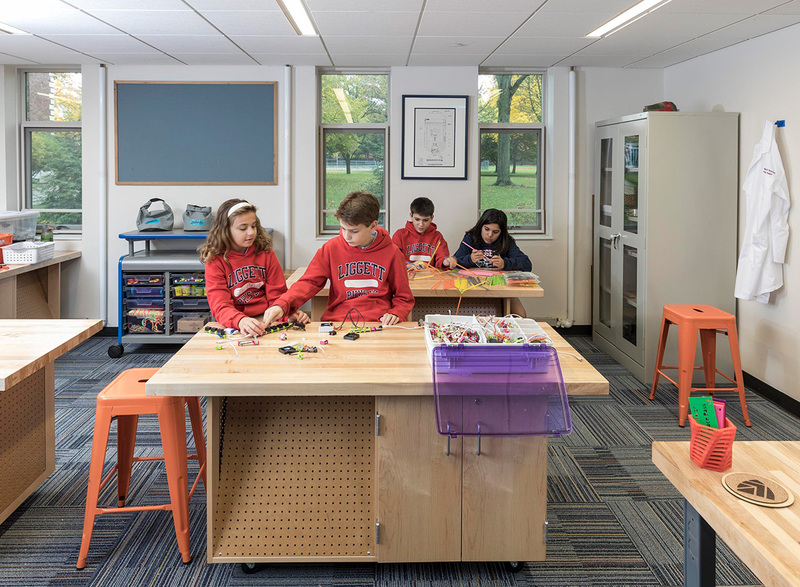 Request a consultation with a Demco interiors expert to help you find solutions that allow you to maximize not only the space, but also the learning that happens there. This maker room most resembles a wood shop and requires adult supervision at all times. I use the same heavy-duty tables from the Prototyping Room to hold the CNC machines, laser cutter, and the other heavy machinery. This is a space for the students who need more precision-cut pieces for their final build once they have tested their design in the Prototyping Room. The fabrication space is covered in sawdust and pieces of wood, and I couldn’t be happier. 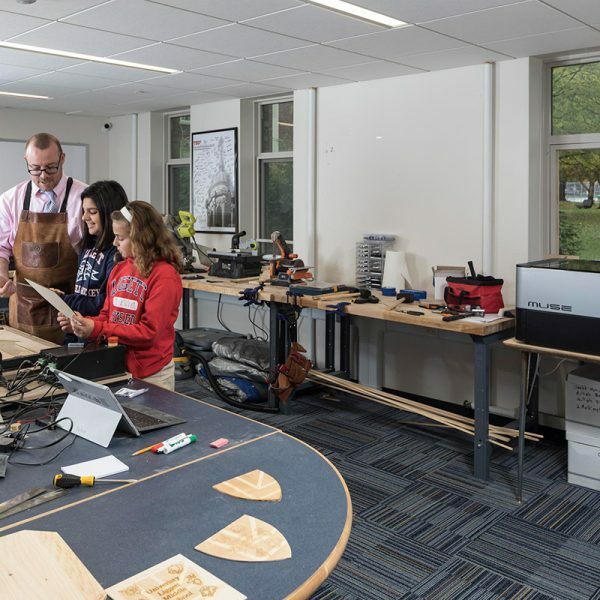 Students have an opportunity to learn how to use the laser cutter, the miter saw, the CNC machines, the belt sander, nail gun, and all of the other tools available in the space. I don’t want to just cut things for students and hand them their pieces. I want them to learn how to use these tools because those skills will help them well beyond the classroom. I wasn’t sure if creating these three rooms to physically represent the design process was going to work. Fortunately, I have been blown away by the response from students and staff. Teachers have brought classes into the space, the robotics team used all three rooms this year for their designing and building, and individual teachers have popped in to explore the possibilities. One of my favorite examples was when an ELA teacher came in with her class to explore distant lands and exotic locations using the virtual reality headsets to find inspiration for their writings. 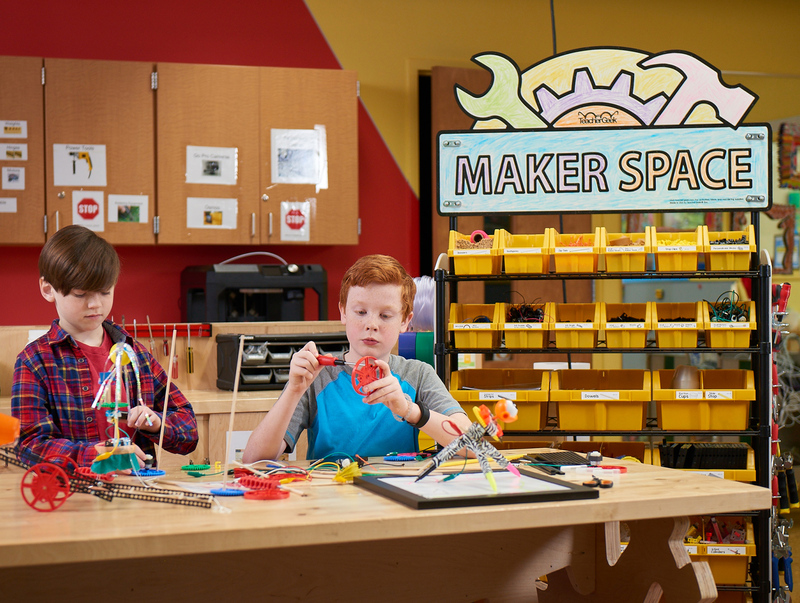 Your plans for your own makerspace may be big, small, or in between. A makerspace should never be defined by the tools it houses, but by the people who use it to create amazing things. 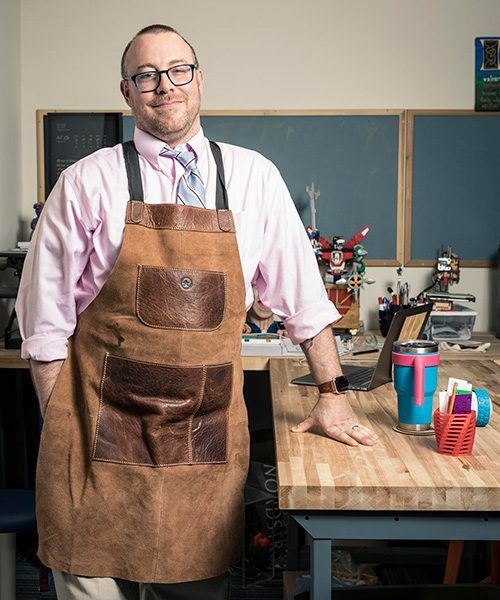 If you take the time to connect with the people who will be using your makerspace before you create it, your space will be as busy and productive as ours. Check out the video to the right to take a visual tour of our makerspace.